It was generally considered that the company in question was Apple, but with no evidence to substantiate that speculation it was largely dismissed. 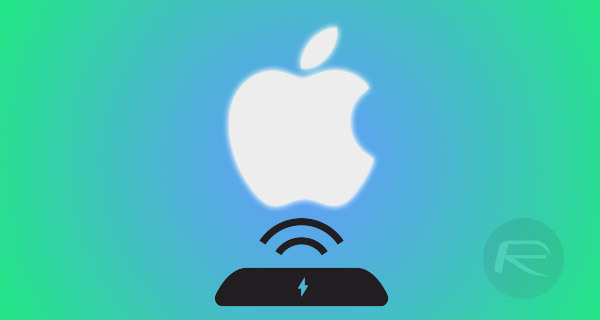 Now, new evidence has been unearthed that points to Apple working closely with Energous, potentially to produce a new type of wireless charging technology that can charge from a distance for its future smartphones, tablets and wearables. What makes this discovery even more interesting, is Energous’ denial of any such partnership. It is being suggested that the information about the partnership, which is rumored to date back to as earlier as 2014, has been hiding in plain sight right in front of our eyes. You really have to have the investigative brain tenacity to find the information, but it seems that the Nasdaq-listed company issues a prospectus to investors whenever it goes through the process of publicly offering shares within the business. We expect that our products and/or the reference designs will undergo UL/CE as well as FCC part 15, FCC part 18, SAR, California Energy Star and Apple compliance testing. Energous is the developer of WattUp – a wire-free charging technology that will be licensed to companies to embed within consumer products. The SEC filing statement from 2014 blankets any future anticipated testing and is not indicative of specific partners. Whether that’s just Energous trying to cover up its intentions or not remains to be seen. If we are to believe what we see, one of the great aspects of this partnership with Apple and Energous, is the potential exciting use and implementation of the company’s WattUp technology. Unlike other charging tech, which requires a compatible device to be placed onto a charging mat / pad, Energous’ solution allows power to be transmitted from up to 15-20ft away from source using a dedicated transmitter and receiver, and can charge 12 devices simultaneously. Energous clearly doesn’t need Apple’s input or guidance to develop the tech, as it’s already capable in its own right. With that said, the exciting thing to take into consideration here is a future iPhone, iPad or Apple Watch that can take on power and be charged without having to be tethered to a power source or rested on a charging pad. An iPhone complete with wireless charging has been rumored for a number of years now, but so far has yet to materialize. If this partnership is indeed ongoing, then it’s likely that we will see the company’s WattUp tech introduced into an Apple device in the near future, possibly in the much hyped tenth anniversary iPhone in 2017. Um…. if they’ve already been in partnership for 2 years, and we haven’t seen anything… why assume that it will appear next year?!?!? Will it give you cancer? At least Apple upgraded the VGAs displays to 1080p in 2016…and now TRULY wireless charging for 2017…and a TRULY 2160p display for 2018…and a TRULY edge display for 2019. Lol thats what i was thinking. Glad this was the first comment. That would actually be very uncool. Now that they’ve removed that massive 3.5mm headphone jack they have the room to put in wireless charging. Meanwhile over at Samsung… BOOM!!! That’s why the iPhone 7 blows the S7 and note 7 out of water performance wise. You’re not exactly a bright individual. You didn’t read the article , did you? Oh, you mean the fast charging that makes batteries explode? Also, why is using the iPhone 7 relevant? Hey it doubles as a roadside flare. So you don’t think I’m a fanboy only sticking up for my brand obviously. Duh. And fast charging and exploding batteries have zero in common. What an amatuer. So ISIS buys up all the returned Note7s? It’ll take days to charge a battery on a device that’s only inches away. 15 feet? lol! Show power usage for the router! The inverse cube law says that the router will either charge very very very slowly, or will consume thousands of times more power than it can deliver. Actually QI charging works at an inch distance with 80% efficiency compared to being plugged in. Wireless charging isn’t a new idea. Just look at Tesla. And no. Not the car company. Unfortunately the inverse square law can not be overcome. At fifteen feet it’ll take a month to charge a smartphone. This technology might be good for very low powered remote devices.